Toastmasters Antwerpen invited World Champion of Public Speaking Mohammed Qahtani to visit Antwerp, on his way from the District 95 Spring Conference in Timisoara to the District 59 Spring Conference in Luxembourg. On Thursday 19 May, he was received by Mr Bart De Wever, Mayor of the City of Antwerp, at “het Schoon Verdiep”, the sumptuously decorated “beautiful floor” of Antwerp’s 16th century City Hall. Since Mr De Wever is arguably the best political orator in Flanders, his meeting with the World Champion of Public Speaking truly was an encounter of two giants of oratory! 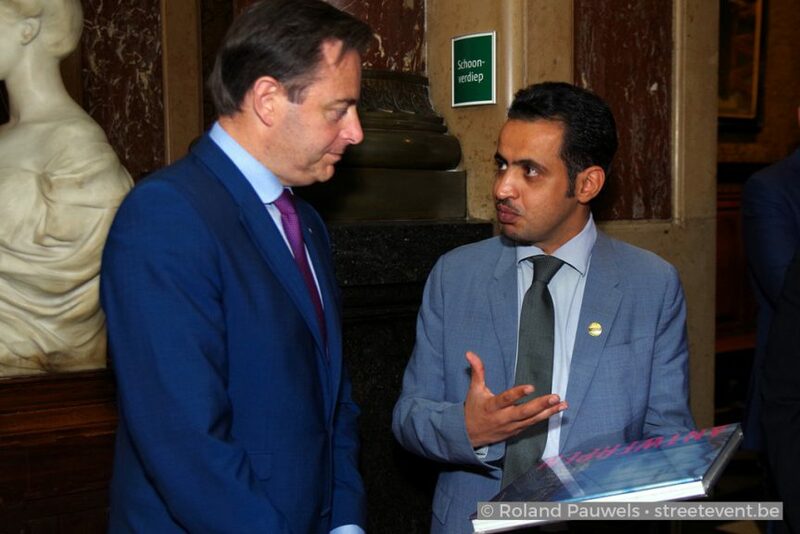 The Mayor expressed his admiration for Mohammed Qahtani’s achievement and encouraged Toastmasters Antwerpen in its endeavours to promote the noble art of oratory in the Antwerp community. Mohammed Qahtani was accompanied by a delegation of the executive committee of Toastmasters Antwerpen: President Egwin Gonthier, Vice President Public Relations Sandra D’Amario and incoming Sergeant at Arms Wouter Dupré. 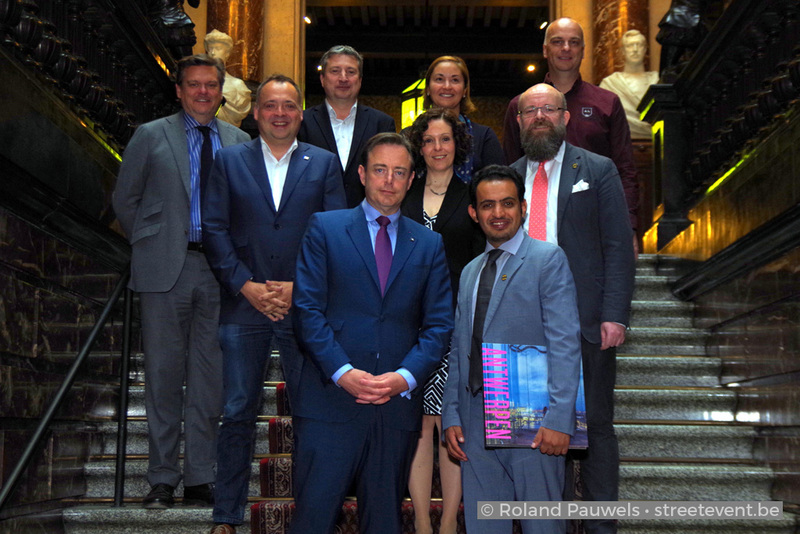 Vice Mayors Rob Van de Velde, Fons Duchateau, Ludo Van Campenhout and Nabila Ait Daoud joined Mayor Bart De Wever for the group picture.